There have been a few five star reviews appearing for Belinda Bauer’s latest book, Rubbernecker, so I was intrigued to see what all the fuss was about. I’ve read a couple of Bauer’s earlier books, and although I enjoyed the style of writing, I felt let down by the endings. This book however, is my first five star read of the year and in my opinion deserving of every plaudit it has received. It’s an unusual and unsettling read, but like many great crime novels, stayed with me for a while afterwards. The central character in the novel is Patrick, a teenager with Asperger’s syndrome. His father died when he was a child, knocked down in a hit and run accident, and ever since Patrick has been obsessed with what happens when things die. He enrols on an anatomy course at Cardiff University and tutors make it clear that he has only been accepted in order to meet their disability quota. However, Patrick becomes obsessed with the cause of death of the man he and other students are dissecting, and becomes convinced that a murder has taken place. Although the narrative of Patrick plays an important role in the book, there are a number of scenes set on a neurological ward, where patients who are lying in deep comas are attended to with varying degrees of care. We see the world from the point of view of a patient in a coma and also two of the nurses caring for their charges. The connection between these scenes and the narrative of Patrick is at first confusing but gradually the strands are woven together. There is a strong sense of menace that pervades the ward, from the frustration and fear felt by the helpless patients to the casual neglect meted out by the self-centred nurse, Tracy. Patrick is the star of the book. Unintentionally funny, he embarks on the journey to prove that the corpse he is studying was murdered, with a disregard for the niceties of convention. He is very well portrayed although perhaps his relationship with fellow students seems a little unreal. Aspeger’s Syndrome is a well recognised condition and I can’t see how both staff and students wouldn’t make more allowance for him as his behaviour becomes increasingly erratic. However it does allow the plot to become more and more surreal as Patrick tries desperate measures to prove to his fellow students, the victim’s family and the police that there is a murderer at large. As I’ve come to expect from Bauer this was an engrossing read but I hadn’t anticipated how poignant the book would feel and the sense of completeness you get at the end of the novel. So many crime novels are let down by their endings, so it was a real treat to feel satisfied by the conclusion. I received a copy of the book from Transworld. For more (also very positive) reviews try Notes on Life, Eurocrime and The Little Reader Library. Sarah – What a fine review! Like you, I enjoy Bauer’s style, She certainly has the ability to weave a complex story together and I like the way she develops her characters. I’m glad this one exceeded your expectations, too; I also really respect Bauer for choosing a protagonist who thinks in a different sort of way. It’s hard to create a really believable protagonist who has an unusual way of looking at the world. Thanks Margot. She has great storytelling ability hasn’t she? I was completely engrossed. Thanks for you review Sarah, I hope to read it soon. I’ll be interested to hear what you think Jose. I’m always glad when a book lives up to its hype. Very good review, and I’ve added this to my list! Great! I’ll look forward to the review Rebecca. 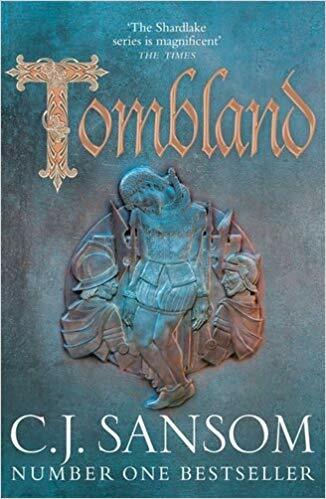 I enjoyed both Blacklands and Darkside and I’m sure I’ll be reading this book eventually too. I can’t remember having a problem with the ending of Blacklands, but I was disappointed by the way Darkside ended so I’m glad to hear this one has a satisfying conclusion! Yes I did enjoy the the ’roundness’ of this book Helen. If you like Bauer’s writing I’m sure you’ll enjoy it too. I am not sure if this is my kind of book, but after reading your review, I will have to give it a try. Plan to read this one. Sounds good. Thanks Sarah. Thanks Tracy and Keishon. I’ll be interested to hear what you think. Yes me too, although I have just finished Fred Vargas’s latest book which is excellent too. Oh you’ve really made this one sound like a must-read! Great review, and onto the list it goes…. I’m so glad you loved this one too Sarah! I think you’ve summed it up really well with your words about the ‘completeness’ of the story. Thanks every so much for the link. Thanks Lindsay. It was your positive review that moved this book to the top of my pile. I don’t think this is my kind of book. The menace and the coma aren’t up my alley. However, I am waiting with great anticipating The Ghost Riders of Ordebec by Fred Vargas and you review of it. I’ve just finished the Vargas, Kathy. It was WONDERFUL! So glad to hear it! But drat the publishing and territorial restrictions! I want the Fred Vargas book now! I’ll have to check all over to see if it’s available someplace, and then pay a ransom to get it! Mine’s an ARC copy – the book’s not out here until March so I’m going to review it as my first post in that month. I’m happy to send you my copy although not sure how quickly it will get to the States. Thanks Bernadette. Heading over to check your review now.